experimenting with extension of trains. 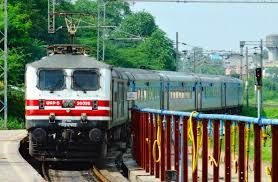 He cited the example of extending Gatimaan Express to first Gwalior and then Jhansi. Goyal added that this helps the Indian Railways in “sweating its assets” better. The list of 22 pairs of train services that have been extended includes trains on important routes. Several MEMUs and Humsafar Express trains across the network have been extended.